Get your fingers at the ready... get set, go! LG has kicked off the texting world cup in an attempt to gain some worldwide recognition for its mobile phone brand... oh, and to find the world's fastest texter. Clearly more important than the Olympics, the LG Mobile World Cup began in Korea and is set to conclude in Brazil around Christmas. Entrants will take part in regional competitions to send the fastest text message without mistakes. Presumably without the help of predictive text, else people will be 'going out for a neck with your nun' (if you're a texter, you'll know). The winners get to go to regional competitions, then onto the worldwide stage to be crowned the 'World's Fastest Texter', before returning home to the obvious parade and a lifetime's supply of rheumatism drugs. 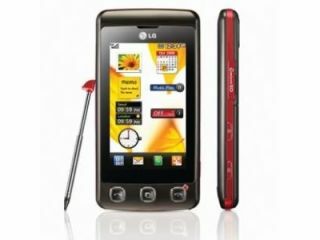 "Text messages are fast, affordable and a lot of fun," said Dr Scott Ahn, LG's 'state the obvious' CEO. "We've organized this global event to help show everyone how easy it is to send text messages and build excitement about it." Surely most people know what a text is, and have already achieved maximum excitement... so where's the 'quickest phone call' or 'best score on Snake' World Cups, LG? This is the first time LG has expanded the competition beyond North America, allowing 12 countries to participate... get yourself along to the final so you can tell your grandchildren you were there at the beginning.